As the holiday season approaches, PHR will take a look at what teams are thankful for as the season heads past the one-quarter mark. There also might be a few things your team would like down the road. Let’s take a look at what’s gone well in the early going and what could improve as the season rolls on for the Columbus Blue Jackets. What are the Blue Jackets most thankful for? 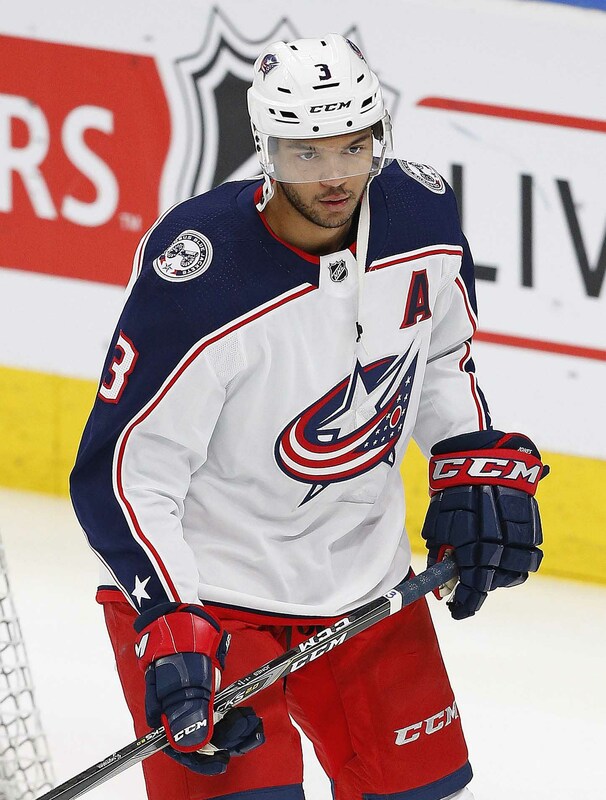 There has been a dark cloud around the Blue Jackets at the start of the season with two of their best players suggesting they would rather be elsewhere (I’ll talk about that later) and then a significant injury to top defenseman Seth Jones, who tore a ligament in his knee during the preseason and missed the first month of the season. 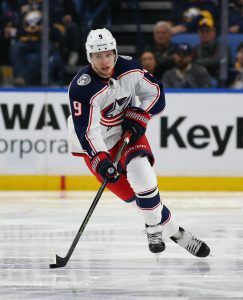 Throw in a disappointing season the previous year from players such as Zach Werenski, Alexander Wennberg, Brandon Dubinsky and Boone Jenner and many wondered whether the franchise might take a step back this season. Instead, the Blue Jackets have played quite well and stand in second place in the Metropolitan Division with a solid 15-9-2 record this season. Several players have stepped up and the team has gotten solid goaltending. With a solid defense and lots of offense, the Blue Jackets look like a team that will contend and hopefully can make a deep push into the playoffs as the franchise hasn’t gotten out of the first round since the 2008-09 season. 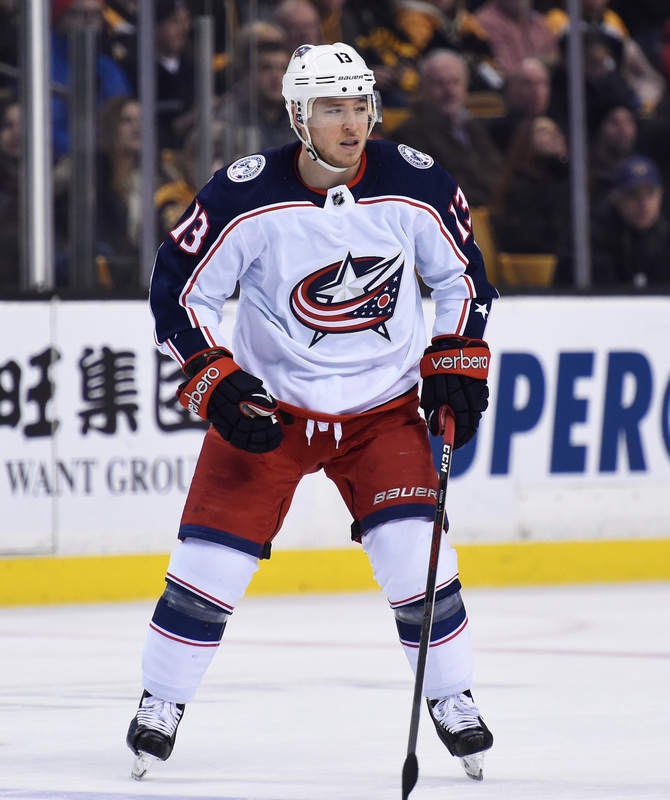 Who are the Blue Jackets most thankful for? Not more than a year ago, Columbus handed Cam Atkinson a seven-year, $41.1MM extension and he responded with a disappointing season, posting a pedestrian 24 goals and 46 points, the lowest of his career since the 2014-15 season. With a number of veterans struggling after being handed long-term deals (Dubinsky, Wennberg), many wondered whether the Blue Jackets made a mistake when they inked the then 28-year-old to such a long extension. Fast forward one year and Atkinson is proving his value with a banner season so far. He has already scored 16 goals and 27 points in 25 games and looks to be developing into a point-per-game player, which would blow away any previous career highs. His team-leading five power play goals and two short-handed goals prove he has become the team’s most valuable player on the team so far this season amongst a large number of big names. What would the Blue Jackets be even more thankful for? While the team has got some secondary scoring, the team keeps hoping to turn some players’ careers around. The team signed Anthony Duclair to a one-year deal in hopes of developing him into the player everyone thought he would develop into. The Blue Jackets also had high hopes that Oliver Bjorkstrand would develop into a top-six player. While Duclair has already put up eight goals this season, he’s fallen into head coach John Tortorella’s doghouse and is has only scored one goal in the last eight games. Bjorkstrand, on the other hand, has struggled all year having scored just two goals along with two assists. Both are now fighting it out between each other for who gets a spot on Columbus’ third line. Hopefully, one of those player can distinguish themselves and take their game to a new level. What should be on the Blue Jackets Holiday Wish List? 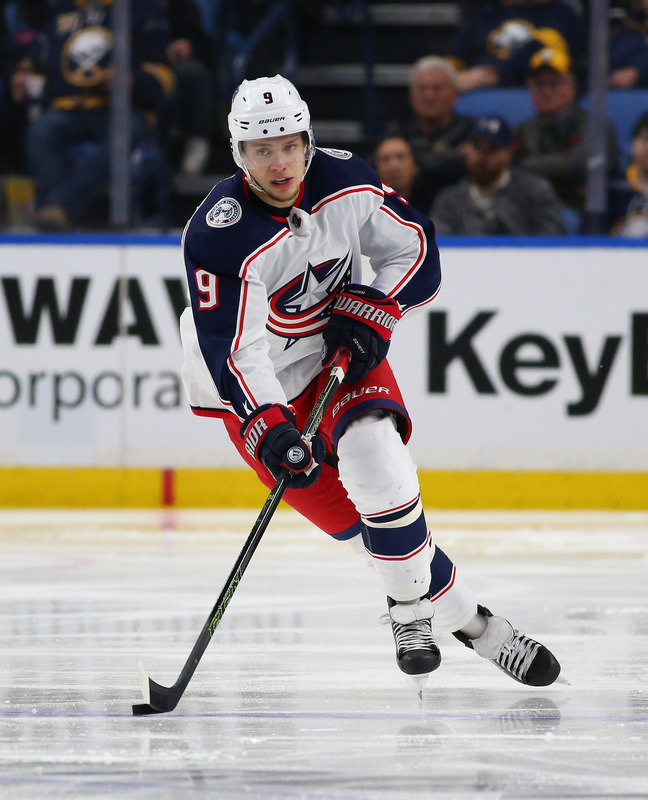 The team has a pair of major concerns on their roster with Artemi Panarin and Sergei Bobrovsky about to hit unrestricted free agency at the end of the year. Both players have expressed a desire to play elsewhere, which could be devastating to the franchise. With the team unwilling to trade them off if they are in the hunt as the team values taking the team on a deep playoff run over trading them both off and rebuilding their roster again, there is a good chance the team will hold onto them. Panarin has expressed a desire to be in a bigger city, while Bobrovsky is looking for a record-breaking contract even bigger than that of Carey Price’s eight-year, $84MM deal that he signed last summer. General manager Jarmo Kekalainen hopes that a winning culture can convince each of them to remain with the team so the team can finally make a Stanley Cup run that the franchise needs for its fans. Even if the team can retain one of them, that would be a big boost for the franchise which would likely fall flat without both of them. The NHL has released their Three Stars of the week, and Cam Atkinson will take home the top spot this time around. The diminutive Columbus Blue Jackets forward scored five goals and eight points in three games and is now producing at more than a point-per-game pace for the season. The 29-year old Atkinson is trying to put his injury plagued 2017-18 season behind him and get back to the 35-goal scorer he showed capable of being the year prior. Corey Crawford and Joe Pavelski arrive at second and third respectively, and it’s the former whose performance is so impressive given his long way back from injury over the last year. Crawford now sits with a .922 save percentage on the season and is one of the sole reasons the Blackhawks are still within striking distance of a playoff spot in the Central Division. A team that has already fired their legendary coach and replaced him with the youngest bench boss in the league, Chicago will need Crawford to continue his strong play if they’re to have any chance at a postseason berth this year. Auston Matthews was back on the ice with the Toronto Maple Leafs this morning, and he wasn’t wearing the red no-contact jersey. While the Maple Leafs have made no indication that Matthews will be back ahead of schedule, his presence with the team can only give them another morale boost as they try to reclaim the top spot in the Atlantic Division. Even without their young superstar—and his usual linemate William Nylander, who is still without a contract—the Maple Leafs sit at 14-6-0 on the year and have the second best goal differential in the entire NHL. The Calgary Flames have inserted rookie Dillon Dube into the lineup 15 times this season, but have given him more than 13 minutes of ice time in only three of those contests. Still with just two points on the season, Dube is looking for his first NHL goal and a way to establish himself as a bigger presence at both ends of the ice. That opportunity is tough to carve out when the team has such solid depth up front, something that head coach Bill Peters is aware of. Speaking to reporters including Kristen Anderson of Postmedia, Peters explained that the team will soon have to decide whether keeping Dube in the NHL only to play a few minutes a game is really the best for his development. Instead, the team could send him back to the AHL where he has still yet to play a full season. The Columbus Blue Jackets are bringing in a familiar face in former USHL Junior Blue Jackets player Tommy Cross. The 28-year-old defenseman, a long-time Boston Bruins depth player, is also a good friend of Cam Atkinson from the pair’s time at Boston College. TSN’s Frank Servalli reports that it is a two-way deal for Cross, paying him the minimum $650K at the NHL level. The 28-year-old has shown off his offensive game over the past couple of years with the Bruins’ AHL affiliate, the Providence Bruins. In two seasons, he’s combined for 20 goals and 71 points. However, the blueliner has not had any success cracking the Bruins lineup, even with the team’s rash of injuries in the last couple of years. He hasn’t appeared in a regular season game in two years, although he did make an appearance in a Bruins’ playoff game in the 2016-17 season. The two-way deal should allow Cross to play a major role for the AHL’s Cleveland Monsters and would have to challenge both Dean Kukan and Markus Nutivaara for playing time at the NHL level.